The canyonlands. The slickrock desert. The red dust and the burnt cliffs and the lonely sky – all that which lies beyond the end of the roads. Outrun winter, see 10 national parks in three weeks, focusing particularly on the ‘canyon country’ as described by iconic American writer Edward Abbey. 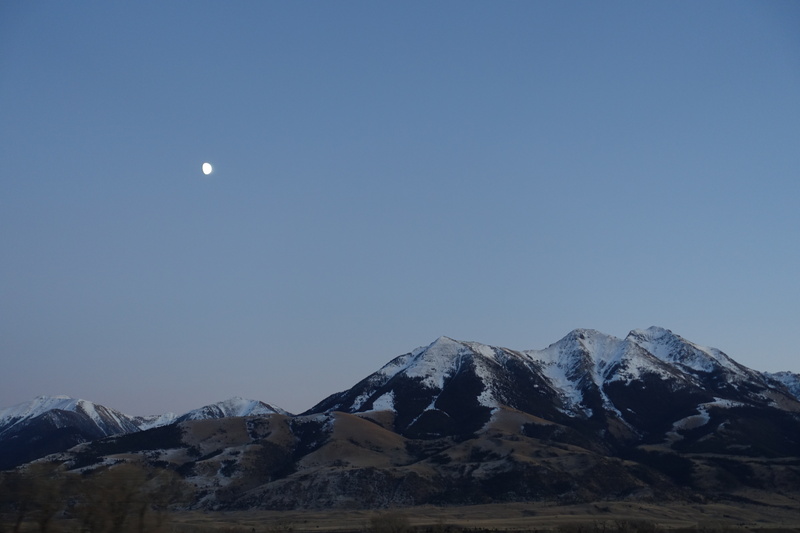 A new moon rises at dusk over southern Montana. Crossing Nevada on Hwy 50, “The Loneliest Road”. Now too cold to camp (we drew the line when it dropped below 0C at night) so driving across Montana, Idaho and Washington and staying in crusty motels. The Grey Goose, a compact four-cylinder Chevy, our home until we go home. Our little tent pitched on the banks of the Colorado just outside Arches national park. Even in the shoulder season, when temperatures at night weren’t far over freezing, it’s not like Australia where you casually rock up at a reasonable hour and snag yourself a campsite. While this was possible in some parks, competition for campsites and even just on the roads at America’s most beloved and famous national parks is intense. 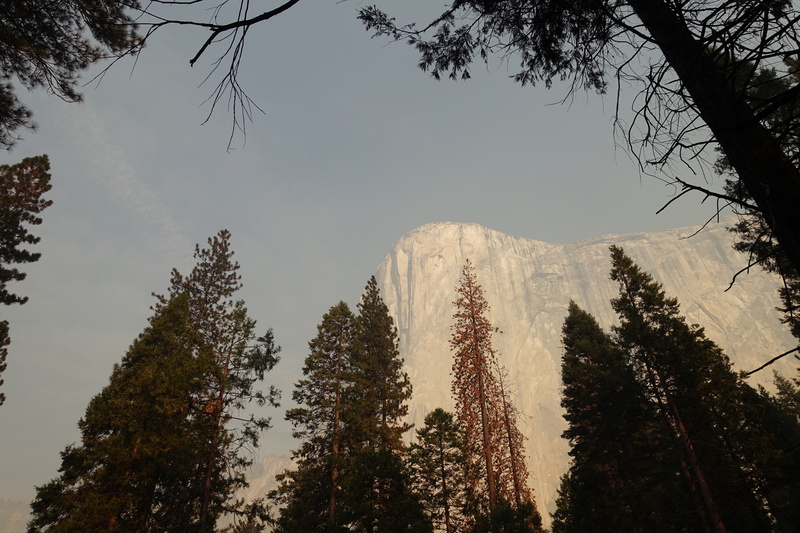 Yosemite got five million visitors last year. That’s nearly 14,000 people PER DAY. I don’t know how that is even possible. Zion got more than four million. No wonder some of the roads and campsites are getting, as the Park Service describes it, “loved to death”. In Yosemite campgrounds are all solidly booked, seemingly months in advance. You must rely on a lottery of the cancellations, called out at 3pm. We were lucky to snag a spot for one night this way but we had planned to stay two. So the system dictated we rise at 6.30am, pack up the entire camp into the car and turn up at the office at 7.30am, waiting in line to put our names down. Then we had til 3pm to do our hiking for the day, because we had to be back at 3pm sharp to hear the lottery results. Then it’s go and set up for the second night. Yosemite: crazy busy, but totally worth it. At Zion, we turned up in the morning and waited in line for an hour and only just snagged a site in an “overflow” site. To stay a second night in the morning we had to pack up camp and get in “line” in our car at 5.30am. And there were plenty of people in front of us. We got confirmed for a second night by 8am, but those behind us got turned away. We then moved everything to a new site. Every single park we visited bar one had major roadworks and we spent gobs of time sitting in our stationary car, looking out at bobcats throwing about tons of the good green Earth we came to see. While you can see American wilderness by hiking overnight into the backcountry, if you are “car camping” you are never going to get much in the way of wilderness. I was still wearing earplugs at night to block out highway noise in basically every place we camped. 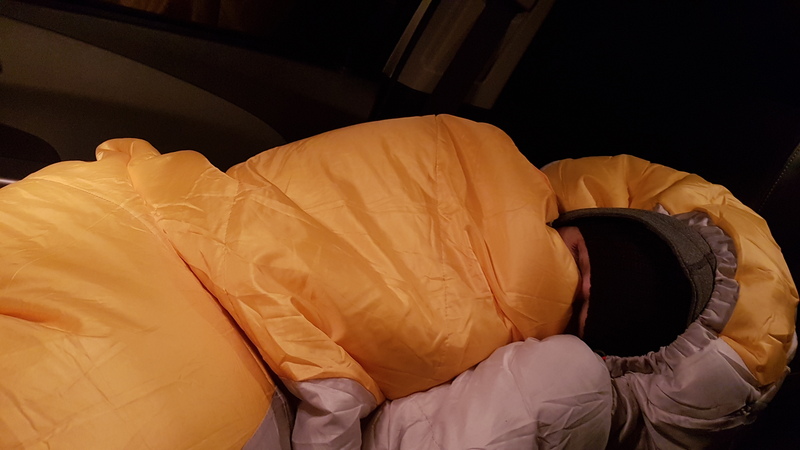 Camping out overnight in line for… a campsite? In other words, the Americans, bless them, have somehow managed to make camping stressful! We were conscious of being ‘part of the problem’, too, having set ourselves this task of seeing so many parks in such a short time, the only way of doing so being pounding serious pavement. We were so conscious because of our reading of the seminal western wilderness work Desert Solitaire. Author Edward Abbey spent several years as ranger at Arches National Monument (now Park) in the 1950s and the book chronicles that time. 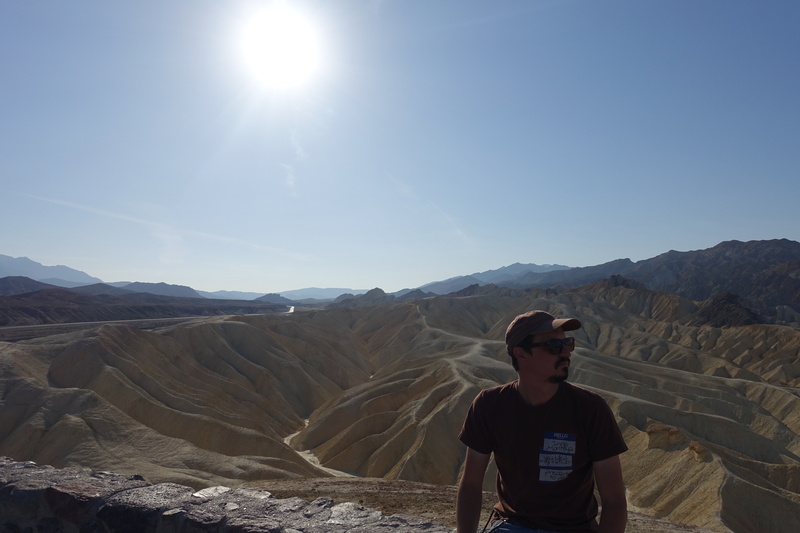 It’s a moving, profound meditation on the nature of the desert and man’s place in it. By turns it’s also an angry, misanthropic manifesto against humanity’s apparent commitment to ruining the land at all costs, most notably by ensuring we pave big fat highways across sensitive areas to allow people to “see nature” without getting out of their cars. It should be noted Abbey’s so famous in the west the National Park Service still sells his books in the parks gift shops, despite the irony that his book is a withering condemnation of humanity in general and the Park Service in particular. I’m sure Abbey’s rolling in his grave to see his books being sold in the kind of massive visitor centres he never lived to see, but so gloomily predicted. Attempting to commune with the spirit of Abbey (despite his explicit instructions to the contrary). 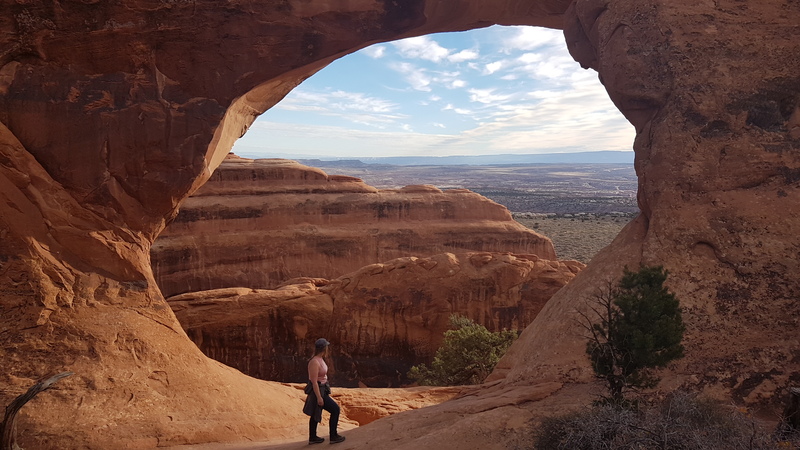 We climbed the challenging Primitive Trail to Double O Arch in Abbey’s beloved Arches. See Stu rappelling down the wall? Just outside the Arches boundaries we tasted the thrills of canyoneering, rappelling down 90 feet into Ephedras Grotto then into the canyon beneath Morning Glory, the world’s sixth-largest natural land bridge. 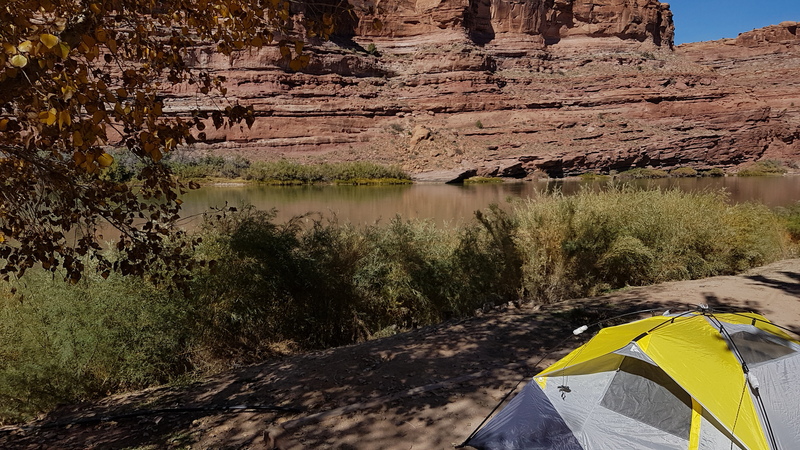 The reward for such bravery was sweet: filling our flasks at a sweet-tasting spring, then hiking out next to the beautiful stream it became, all the way to our gorgeous campsite on the Colorado River. 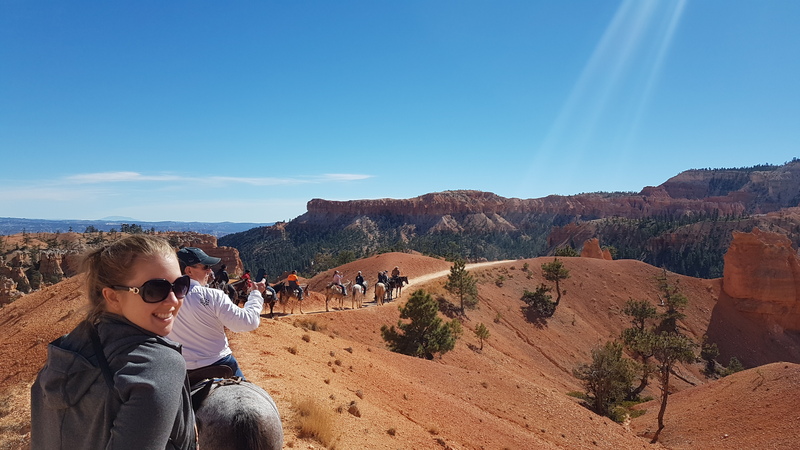 We did a three-hour horseback ride through Bryce Canyon. 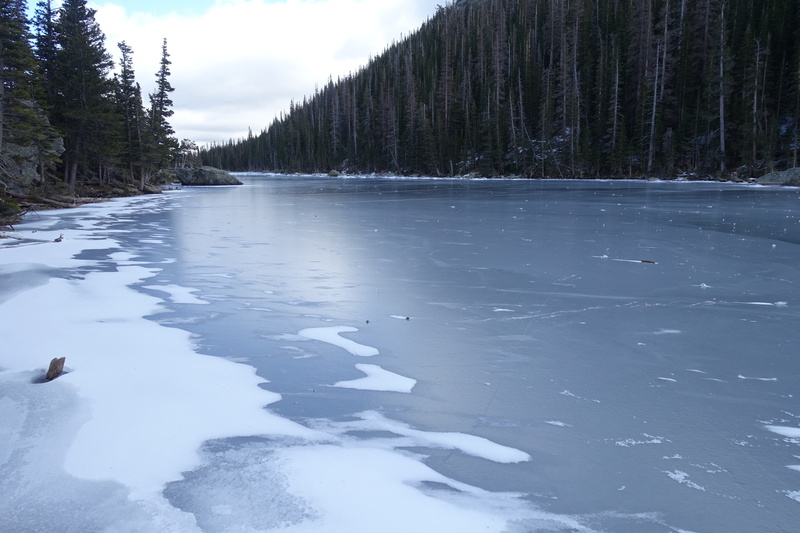 We climbed to Emerald Lake at Rocky Mountain, playing in the snow like children. Utah sky beams blue over Bryce Canyon. Best viewed on horseback. Most memorably of all, we did a six-hour round trip hike through The Narrows at Utah’s incredibly beautiful Zion National Park. 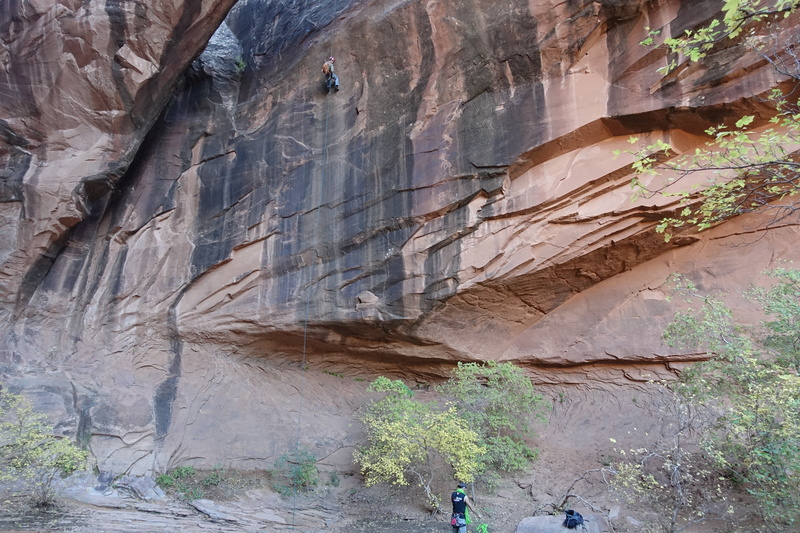 This required hiring full gear – canyoneering boots, dry pants, wooden poles – as the hike is through the cold (6C), swiftly moving Virgin River at the bottom of Zion Canyon. It’s at times up to your mid-thigh and can sweep you off your feet if you make one misstep. This was an incredibly special hike, a unique experience. Breathtaking lake hike in the Rocky Mountain National Park. 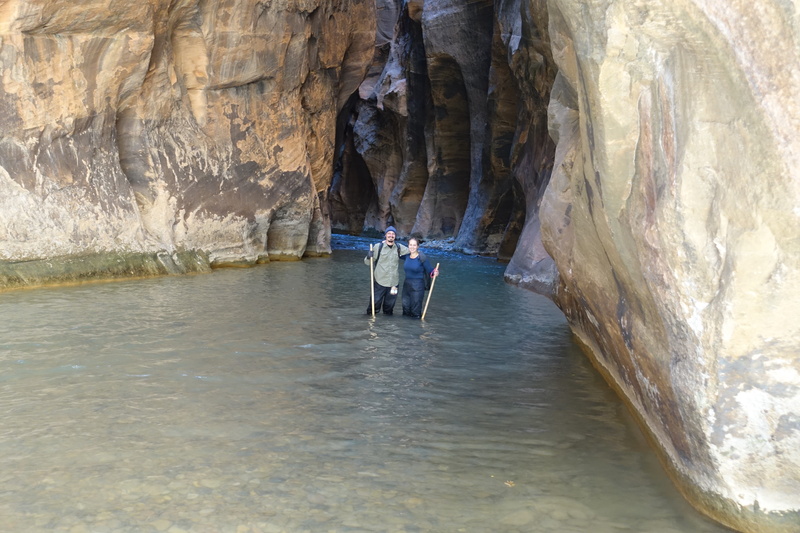 Us in The Narrows, upstream along the Virgin River at the bottom of Zion Canyon. Our joy in these places, and that of all our fellow American hikers and campers, led us to conclude that despite our differences, inside we all yearn for the sense of transcendence and connection these places give us. We can only hope and pray the US government can find a sustainable way to manage the massive (and growing) demand. And that the wider world, in designing and infilling its cities, remembers this thirst for nature that remains universal and unquenched inside the human heart. UTAH ROCKS! 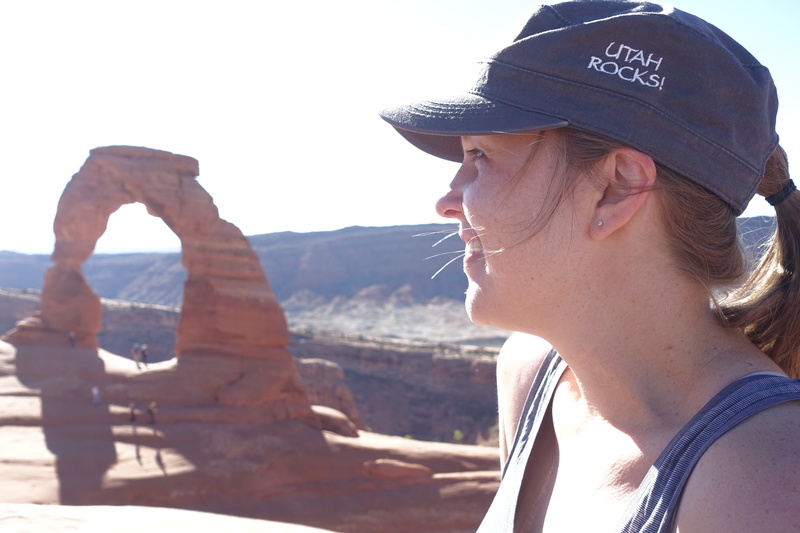 Em at Delicate Arch. 3 days of Vegas and we rent a car, buy sleeping bags and a tent, load up on supplies and flee back out to nature. 10 National Parks makes for a lot of good camping. Walking upstream with dry pants and poles is heaps fun. Walking to the top of a waterfall is heaps fun. Walking through massive trees is heaps fun. Walking around rock formations is heaps fun. Walking up and around mountains is heaps fun. Walking through snow is heaps wet/fun. Rappelling down canyons is heaps fun. Riding horses through canyons is heaps fun. Driving in a snowstorm is scary/fun. S’mores by campfire are incredible. 100% of National Parks are ‘under construction’. That point where $5US for a shower sounds reasonable. The surreal landscape of Yellowstone NP. Stu at Arches NP on Delicate Arch hike. Em at the world’s biggest tree, the General Sherman sequoia. Yosemite, just before the Vernal Falls hike. The stunning fall contrasts of Zion NP. Sequoias can live over 3000 years. Humans don’t even know if they have a natural lifespan! Enterprise car rental (the only place that allowed a two-month solid car rental, a cheap one-way drop off fee and for us to be able to drive all over the US and Canada. Suffice to say this was a VERY difficult thing to find). *We paid full price for all these, so consider the recommendation unbiased!